These are HP EliteBook x360 1030 G2 drivers for Windows 10 64 Bit you can download and install to get your laptop work properly. 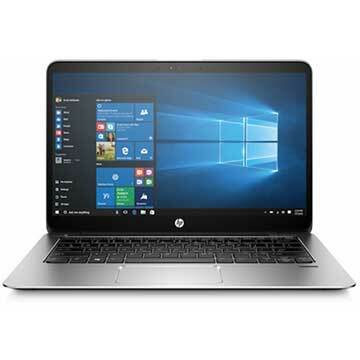 HP EliteBook x360 1030 G2 is 13.3 inch touch-screen laptop powered by Intel Core i5-7200U or Intel Core i5-7300U or Intel Core i7-7600U dual-core processor with integrated Intel HD Graphics 620 video card. It come with GB (i5 only)/8 GB/16 GB (i7 only) DDR4 – 2133 dual-channel memory and M.2 SS/DS 2280 solid state drive to store documents. This mobile computer features Intel Dual Band 802.11a/b/g/n/ac (2x2), Bluetooth 4.2 Combo, 720p HD webcam web camera, quad premium stereo speakers with Bang & Olufsen audio technology, baklit keyboard, USB Type-C with Thunderbolt port, USB 3.1 Gen 1, HDMI 1.4 port, External micro SIM, Micro-SD Card Reader slot, and 3-cell Long Life Li-Ion polymer (57 WHr) (supports battery fast charge). 4 GB (i5 only)/8 GB/16 GB (i7 only) DDR4 – 2133 (transfer rates up to 2133 MT/s) Supports dual-channel memory, on board.